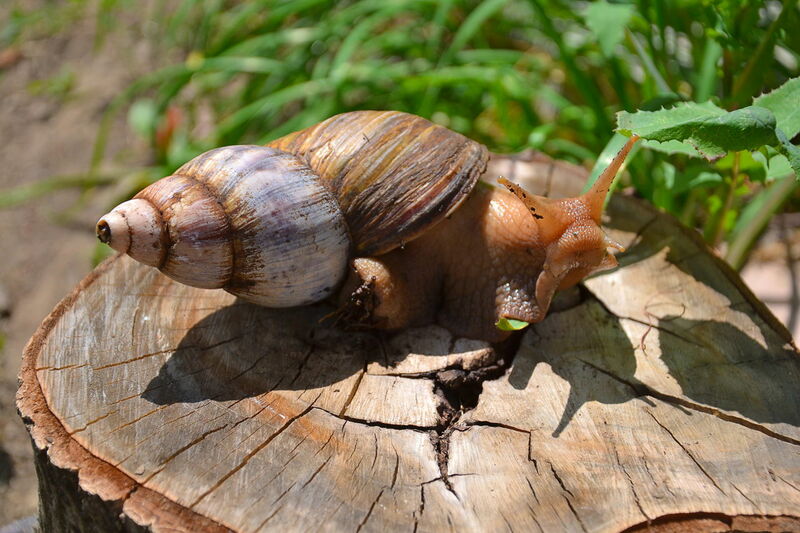 The common periwinkle snail, also known as the 'edible periwinkle' and 'wrinkle winkle', is found along the East Coast of the United States, from New England to Maryland. AnimalSake provides some additional information on them. 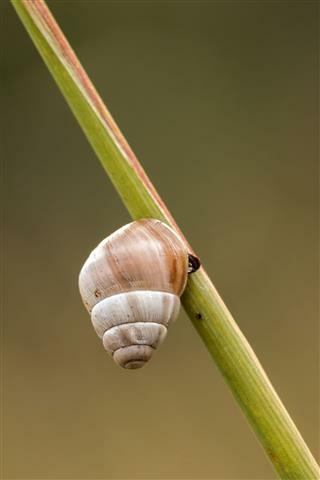 The common periwinkle snail is believed to have been an important source of food in Scotland since at least 7,500 BCE. The common periwinkle snail, scientific name: Littorina littorea, is not a native species of the North American and Canadian shores. It was introduced to these waters in the mid 19th century from Western Europe and rapidly spread along the Northeast coast. There are many theories regarding their presence along the North American shores. It is believed that they may have been either transported across the Atlantic in the ballast waters of ships, or may have been intentionally released or brought by colonists who wanted a familiar source of coastal food. 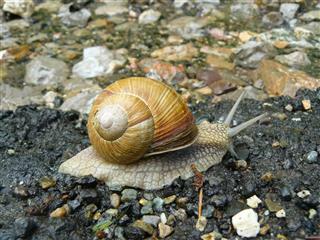 The introduction of the common periwinkle snail has impacted the ecosystem on the North American and Canadian shores. It has drastically changed the distribution and abundance of algae on rocky surfaces and altered the relationship of organisms in their habitat. 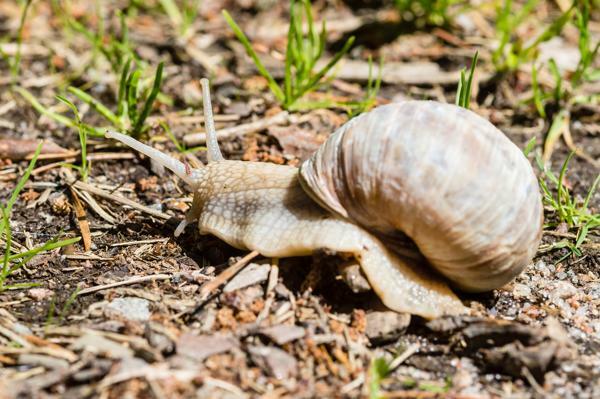 It has also been responsible for the displacement of some native species like the mud snail. Their voracious feeding is also responsible for the disappearance of larger seaweeds. 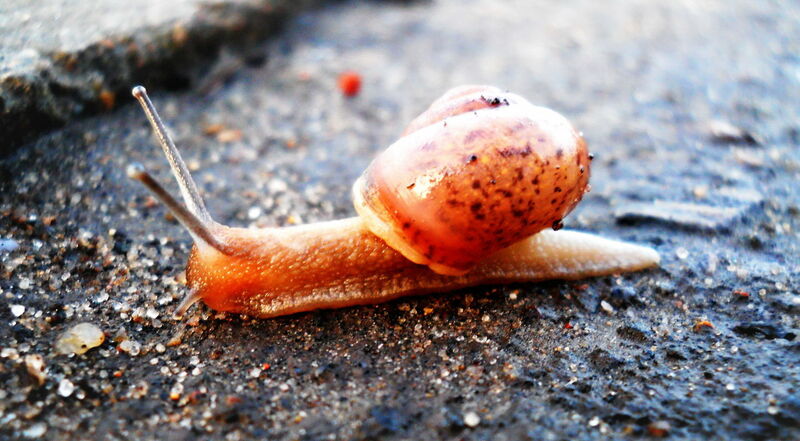 Phylum Mollusca Sea-animals with soft bodies, some may have an external shell. E.g., snails, clams, and oysters. Order Prosbranchia Breathe through gills (which are in front of the heart). 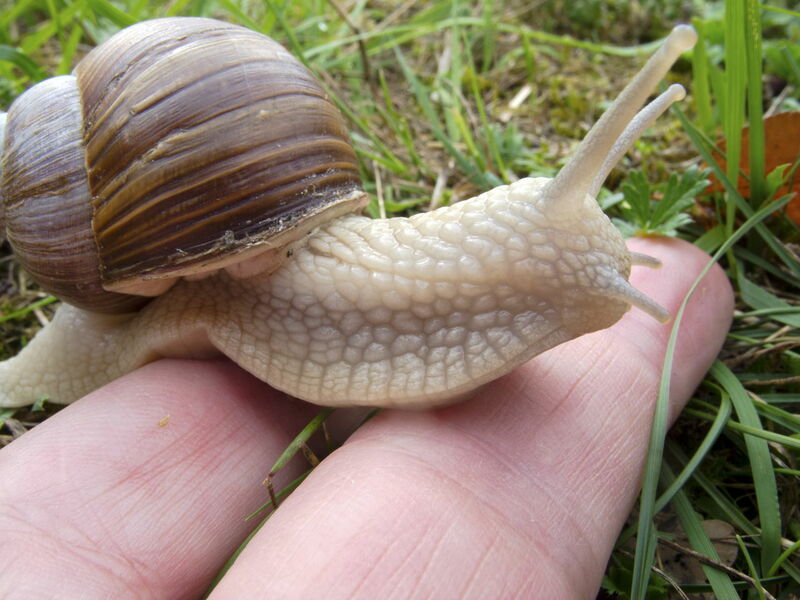 ➥ The common periwinkle is one of the largest periwinkle snails, and its shell can grow to a height of about 52 mm. 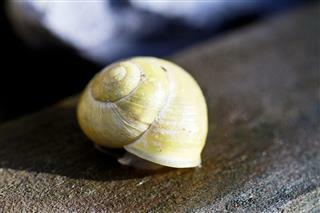 ➥ It has a spiraled shell which is usually about 2 cm long, and is solid enough to withstand the turbulent waves. ➥ The adult common periwinkles have a shell that is smooth; however, the young ones may have ridges on their shell which spiral up towards the apex. ➥ The shell color ranges from gray to black to brown, but is generally black or dark gray-brown, often lighter towards the apex. 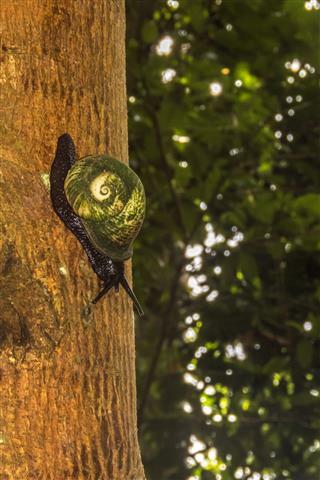 The color of their shell sometimes blends with the rocks. 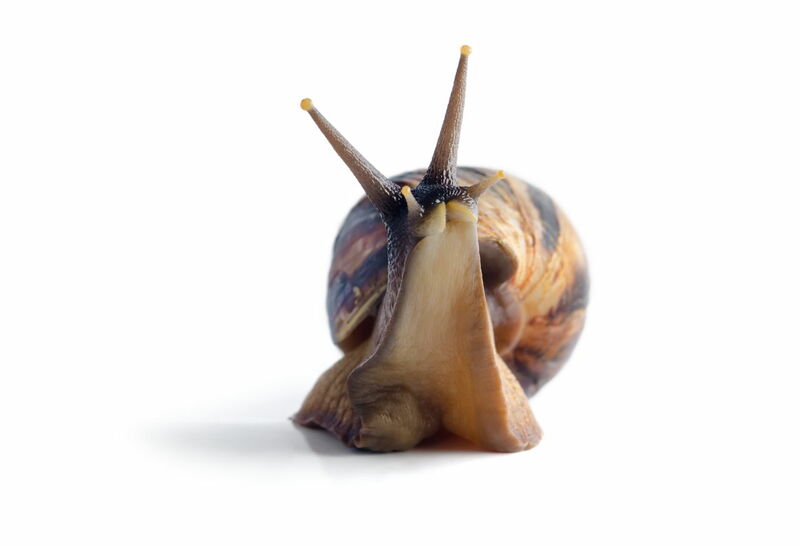 ➥ They have a sharp organ in their mouth called a radula. It is like a ribbon with rows of sharp, hooked teeth, which is used for scraping the algae off rocks. Even if these teeth break off, they get replaced within a day. 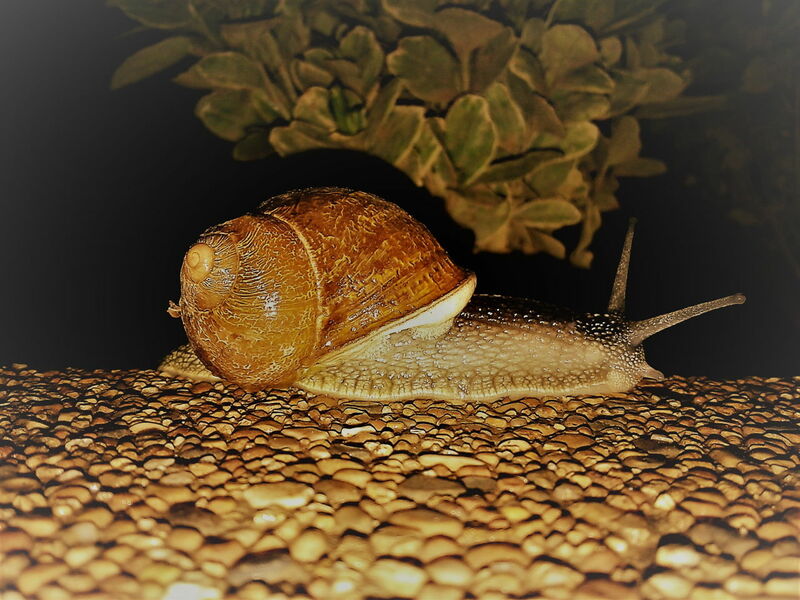 ➥ They can retract themselves into their shells using their tail, to keep them from drying out or protect themselves from predators. 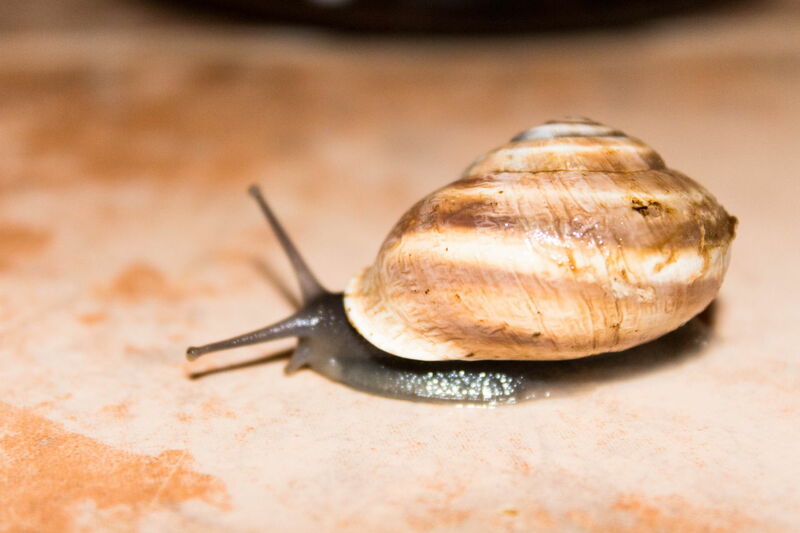 ➥ Periwinkles may live out of the water for a number of days, but they can stay moist by closing up their shell with a trap door-like structure called an operculum, which is also a doorway out of their shell. ➥ They have a snout like head and have two stalked tentacles that can be seen if you observe closely at their front end. These tentacles are also their sensory organs. The young ones have black bars on their tentacles which distinguishes them from the adults. 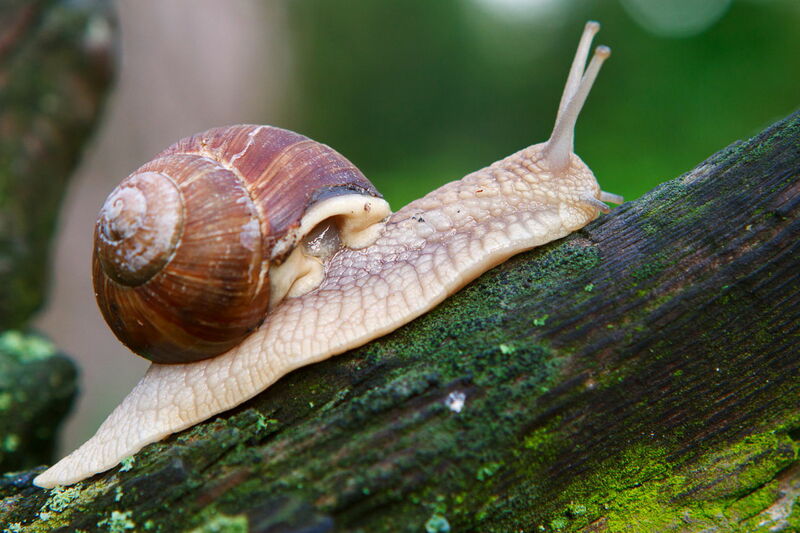 ➥ The common periwinkle snail attains maturity within 2-3 years and its lifespan is thought to be about 5-10 years. 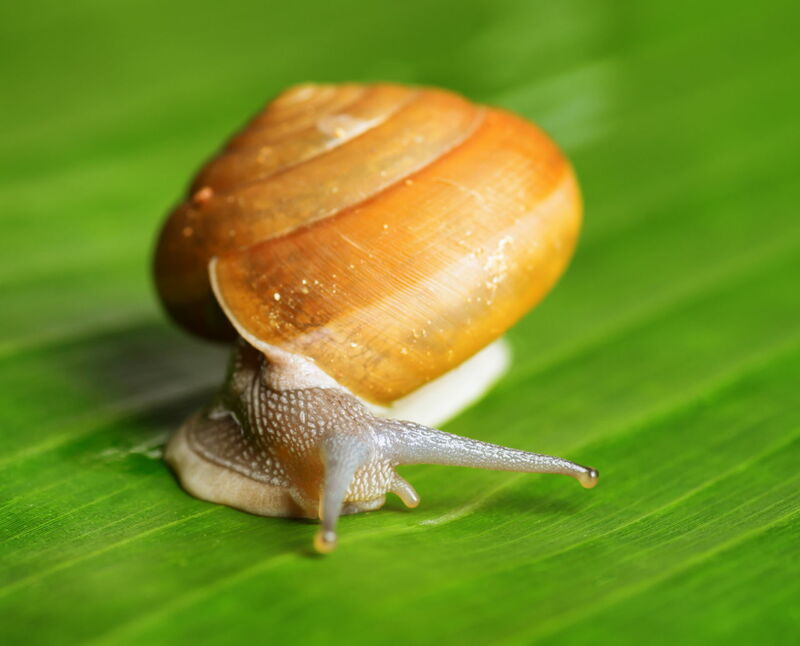 ➥ Common periwinkles are herbivores and feed on many types of algae, mainly the algae which grows fast and has a shorter lifespan, like sea-lettuce, brunslick, and purpurhinnor. They even eat diatoms and small larvae. 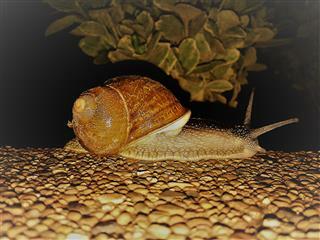 ➥ They can live for many days without food or water, by retaining moisture in their gills. They scrape the algae off rocks, the process can be so intensive that it can eventually erode the rock. 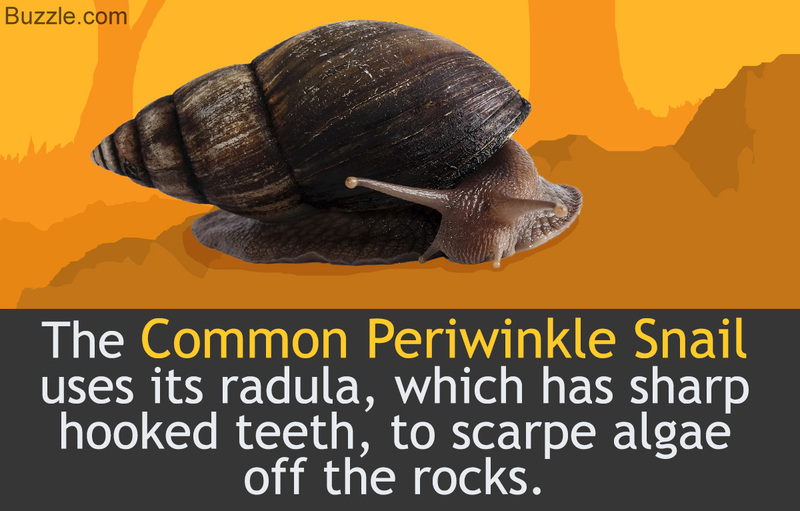 ➥ The common periwinkle likes to be on rocky coasts. They live in mostly shallow environment, like sand, rocks, and cliffs. 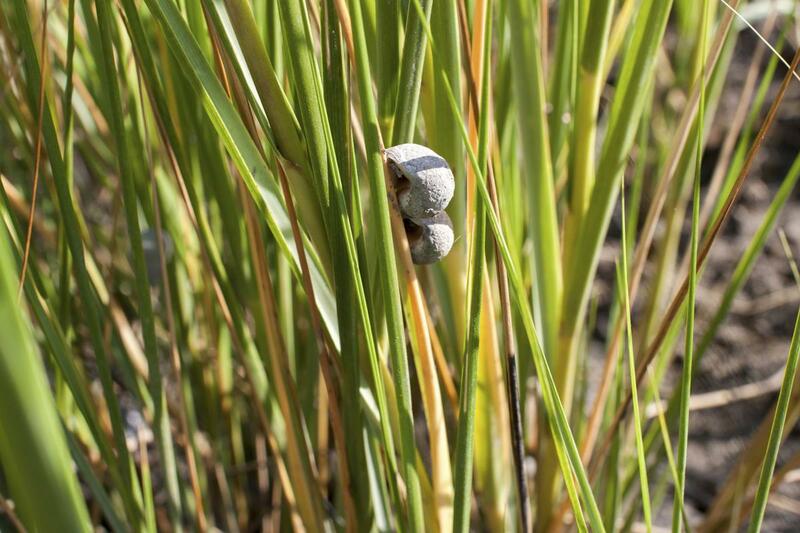 ➥ They are also common in estuaries, where freshwater mixes with saline water, because they can withstand saline water up to 10 parts per thousand. ➥ They are even found on soft bottoms, among rocks between high and low tides, underneath docks, and in mud pools. ➥ They travel up the rocks along with the tide. They move out of the tide pools at night, and into them during the day. During low tide, they hide in cracks and crevices. They are considered to be experts at adapting to extreme environmental conditions like heat, wind, low tide, and submergence at high tide. 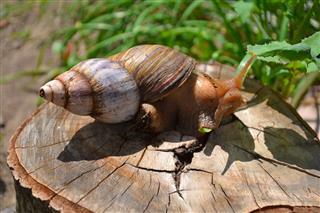 ➥ They are abundantly found on the shores of New England and also on the West Coast, from Washington to California. 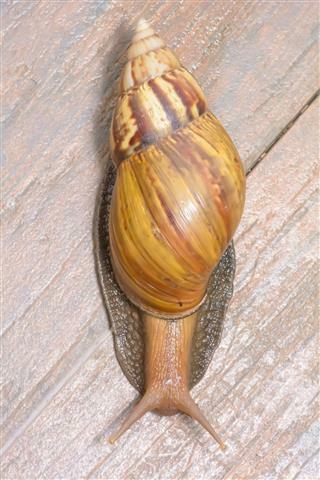 In Canada, they can be found in New Brunswick, Quebec, and Newfoundland and Labrador. 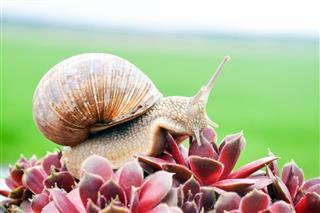 ➥ The common periwinkle has both sexes, a male and female. 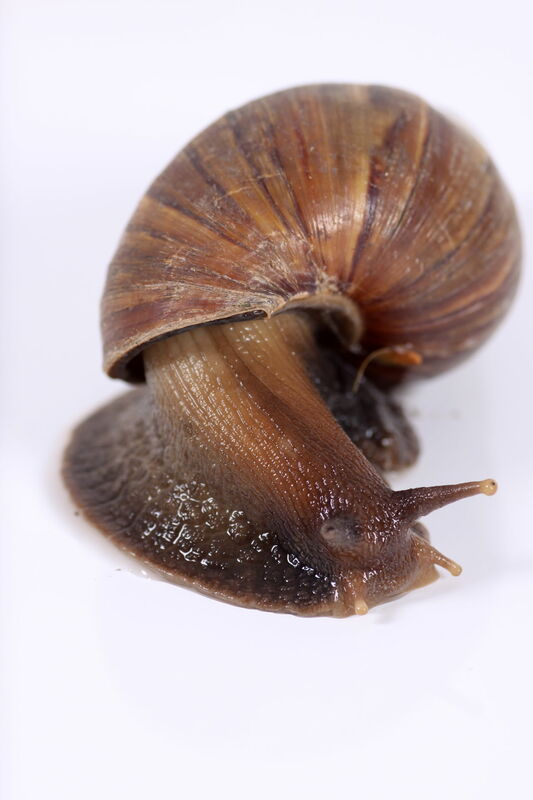 Reproduction in the common periwinkle snail is sexual and takes place around the whole year; however the duration depends on the climatic conditions. 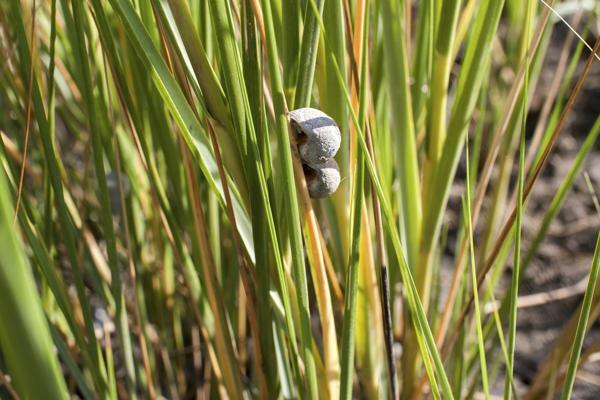 ➥ The females lays eggs in floating capsules of about 1 mm size, which is synced with the tide. Each capsule contains at least 2-9 eggs. After floating in the ocean, the eggs hatch after a few days producing larva. 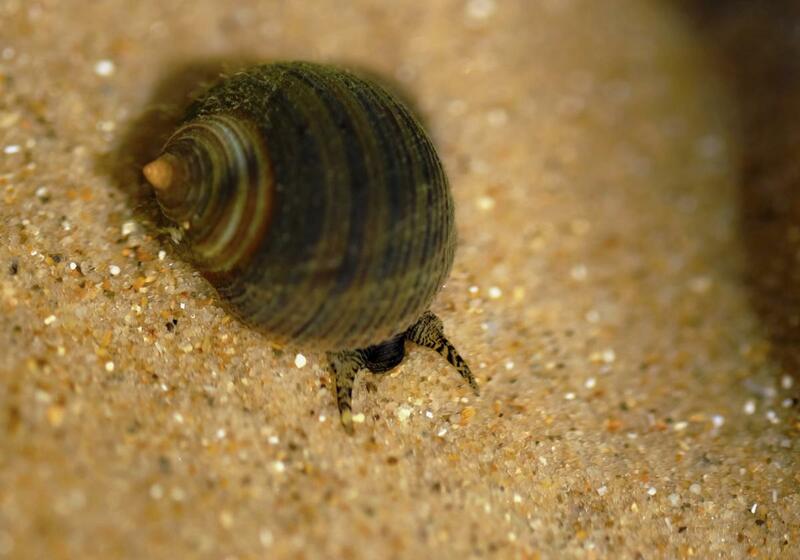 These larvae eventually settle on the shore as small shelled common periwinkles after about six weeks. Although the common periwinkle snail does not figure as one of the top eats in North America, it is a part of British and Irish cuisine and even considered a delicacy in Africa and Asia.